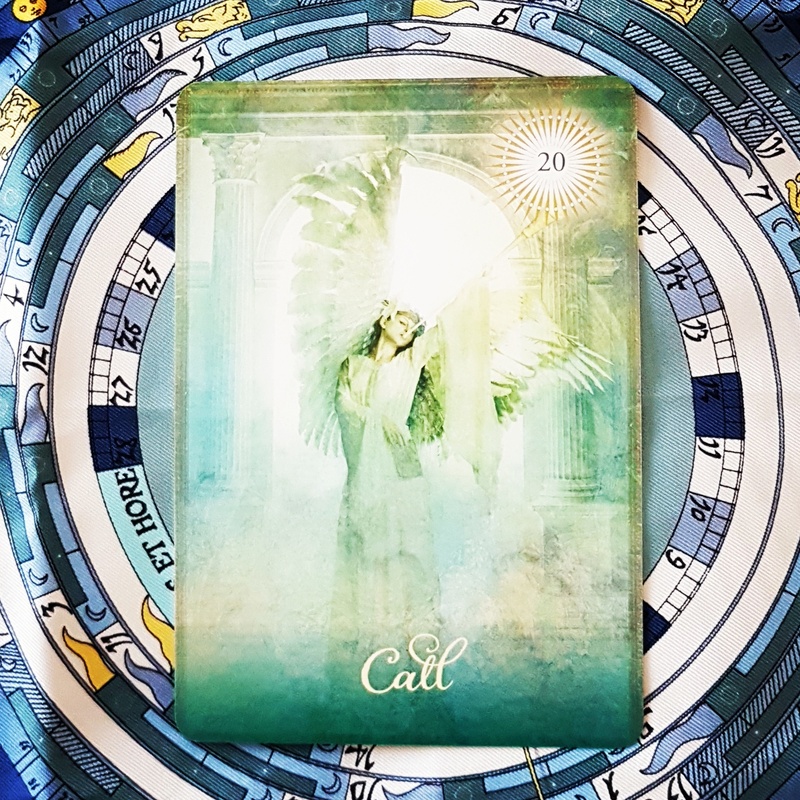 Call (Judgement in most other decks) – You have everything you need right now to move forward with purpose. You’re being called into a deeper and more authentic relationship with yourself, with your Higher Power and with others. You are here for a reason. You’re required to step forward into your true self, expressing that through your actions. You need to trust that your life has a purpose, that you are ‘enough’ and that within you is a divine blueprint that has been for yourself and others. Keywords: purpose and true prosperity. 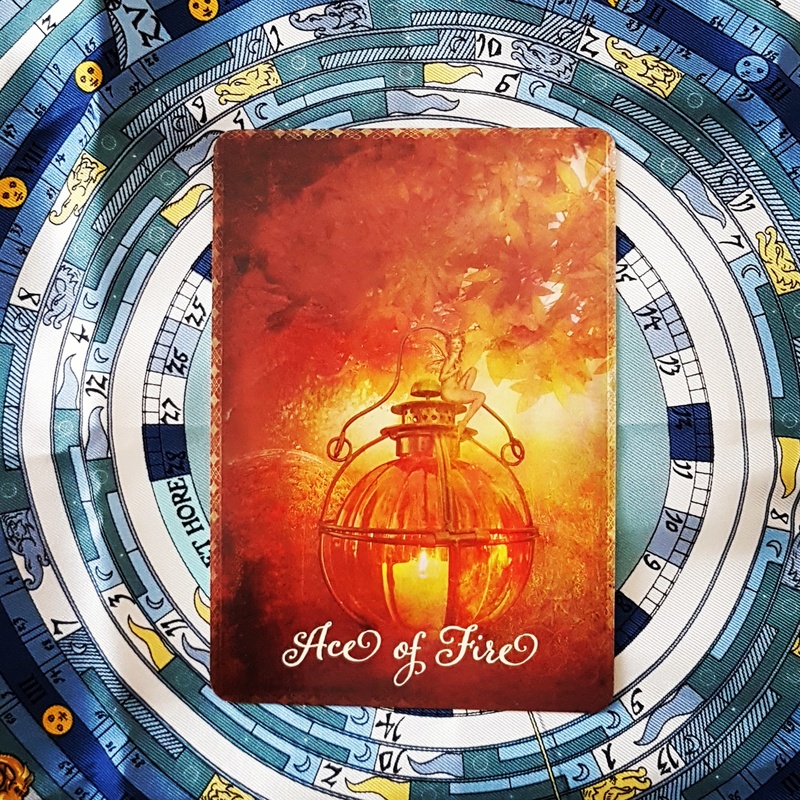 Ace of Fire – When you feel your connection to Spirit, you see unlimited potential for transformation. There is no reason to fear because you are supported fully in imagining something new and daring to make it happen. This is a time to dream big. You can be bold and free because Spirit inspires you to turn your dreams into reality. Keywords: Spirit-powered action, inspired transformation, access to co-creative power. 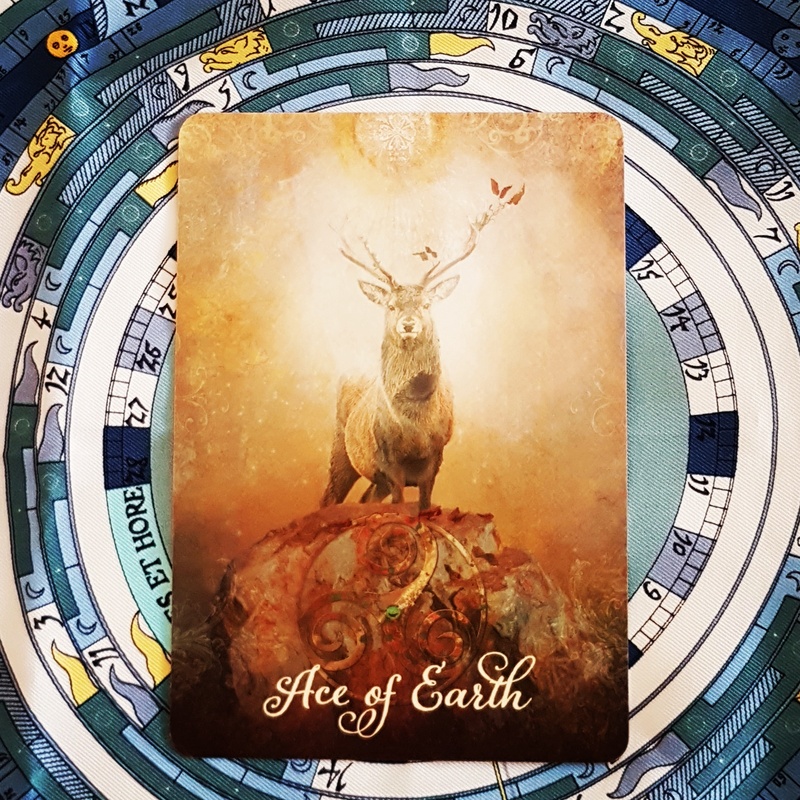 Ace of Earth – You recognise the many forms of abundance and plenty, and you align yourself with success. You can generate gold from the resources you have at your fingertips. You make an impact. The essence of prosperity is taking form in the material world. Keywords: prosperity in its purest form, concrete results in the physical world, abundance made manifest. 2 of Earth – Your efforts bring you joy. Play and work are not separate, because what you are doing is actually fun. If conditions change, you can switch gears easily. You are fully present in the excitement of creativity and are eager to experience the surprises that occur when seeds you have planted take root, sprout and develop in unexpected ways. This is a time for flexibility and trust in how the universe will shape what is coming into being. One way or another, your dreams manifest in the material world. Keywords: pleasurable work, adaptability, balance between work and play. 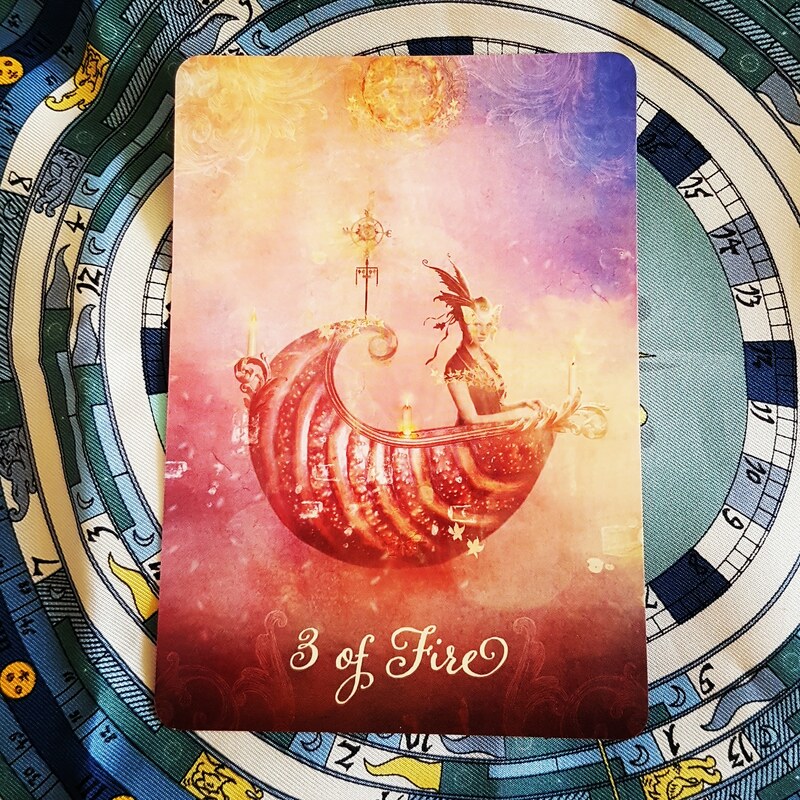 3 of Fire – You are on the right path towards your success. You have an abundance of opportunities before you. You need to trust yourself, for you can make good choices for yourself and co-create situations and relationships that are in harmony with your heart’s desire. Keywords: expansion of opportunities, the fullness of creativity, achievement. 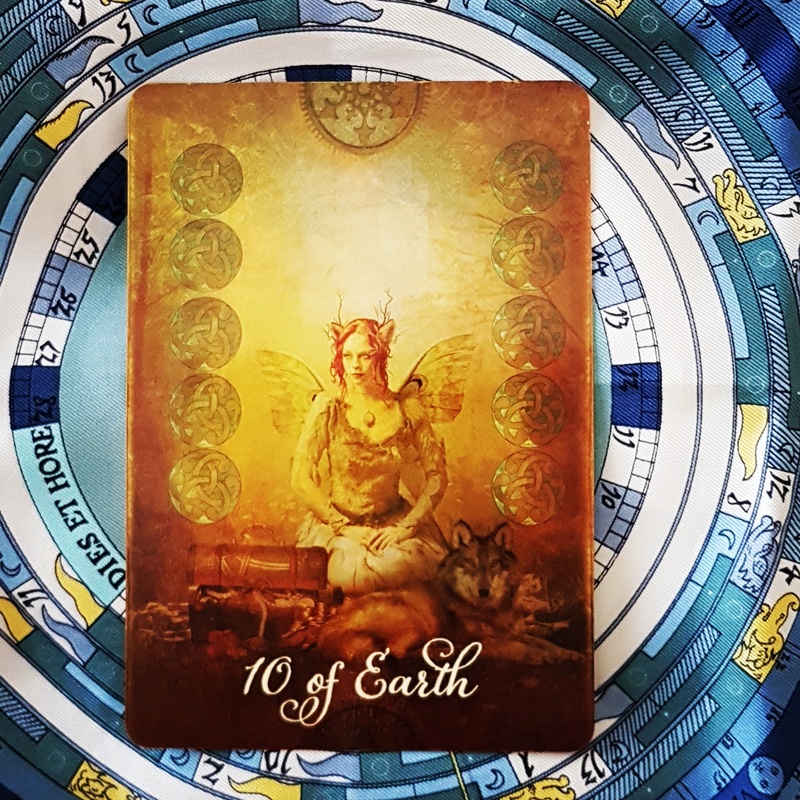 10 of Earth – You are now able to step back and observe the results of what I built through my dedication and hard work. You claim ownership of the castles you built that have taken form in the material world. You have achieved mastery and inherited treasures of knowledge and experience thanks to all you have been through. You smile appreciatively at your run of good fortune. Keywords: affluence, material abundance, mastery, financial security, inherited wealth and knowledge. 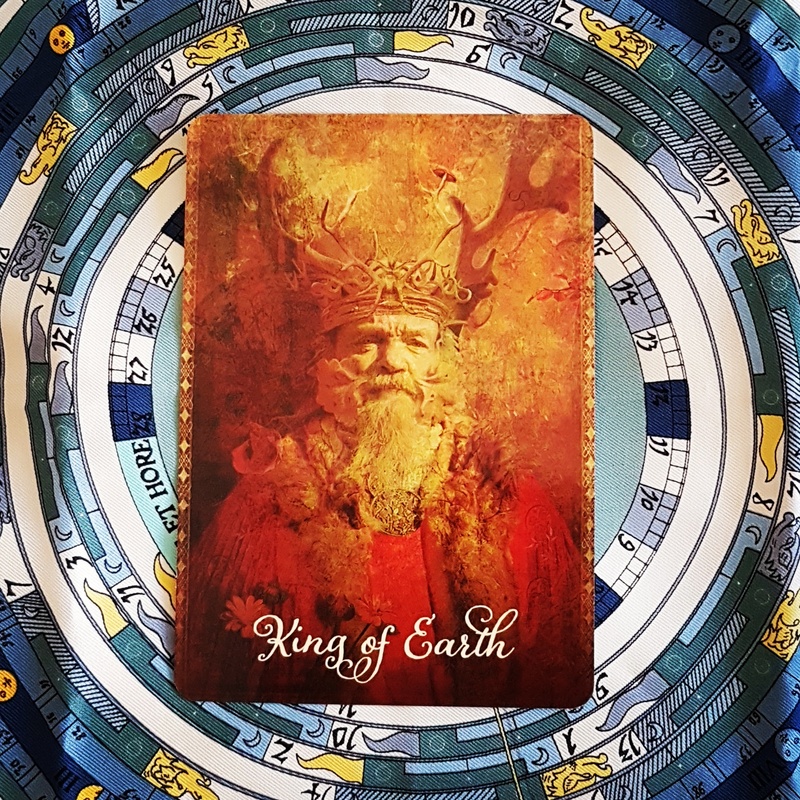 King of Earth – You have trust and faith in the invisible and know it will manifest in the realm of form the way you need it to. Opportunity can be found anywhere and everywhere. Because you are competent and committed, you are ready for abundance to manifest now in the world of conditions, in a form that is aligned with your highest good. You manifest all that you desire, consciously aware of the need to stay focused and grounded in the everyday work required. Keywords: enterprising, philanthropy, ability to attract abundant wealth, magnanimous, conscious manifesting, a reliable leader. 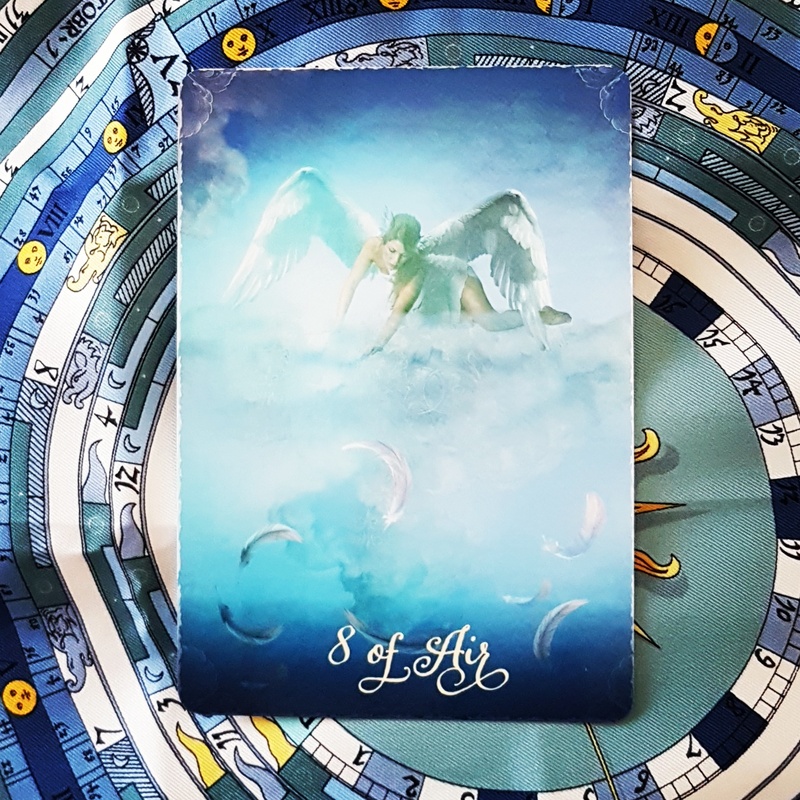 8 of Air – With Spirit at your side encouraging you, you open your eyes to see things as they really are. To be disilllusioned is to free yourself from illusions that keep you from the growth and healing you deserve, so you bid goodbye to illusions that have clouded your vision. Honesty gives you strength and courage to face whatever I have to face. Keywords: release from denial, seeing things as they are, clarity. 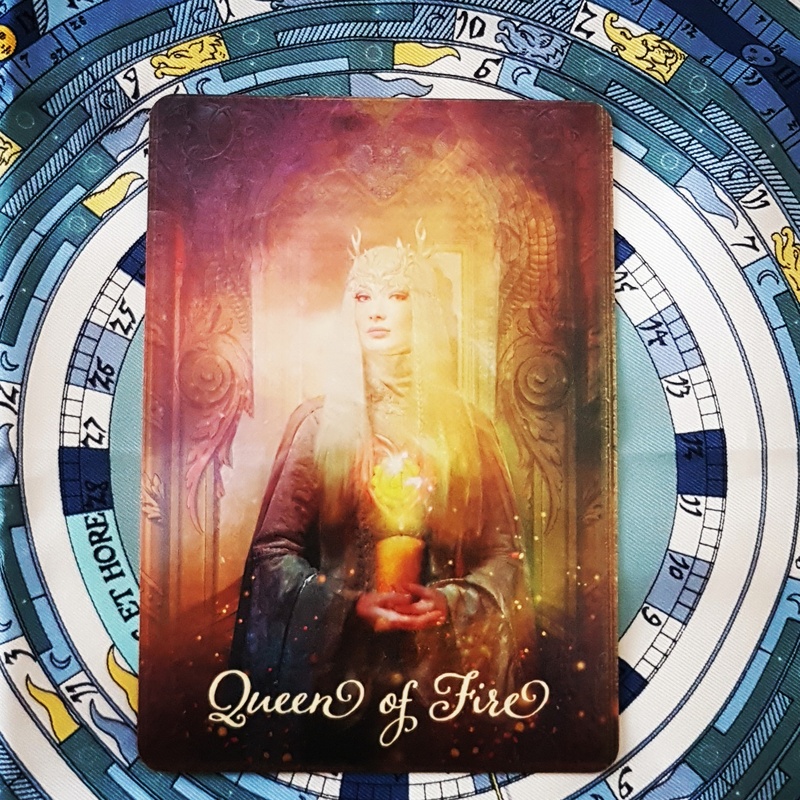 Queen of Fire – You are capable of strong friendships that inspire you and encourage you to express yourself in your own way. You co-create with others, dedicated to a vision of achieving the highest good of all. How might you join the dance of co-creation, letting Spirit flow through you and inspire you to express your passions? Keywords: creative collaborations, soul connections, passion inspired by Spirit, artist. 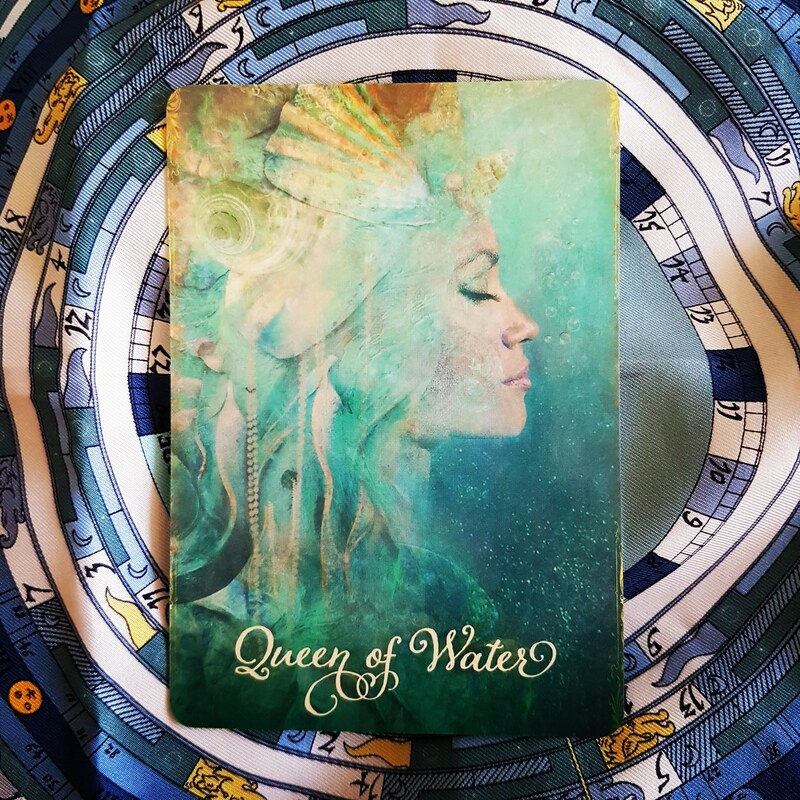 Queen of Water – You are comfortable in your own skin. You love, cherish and nurture yourself. You are the best friend to yourself. Your relationships with others reflect your security in knowing you are always worthy of love and respect. You heal yourself so you can be the change you want to see in the world and so your compassion can inspire others. Keywords: compassion, emotional security, generosity, self-love and self-care, healer. Love (The Lovers in most other decks) – In all of life, there is only the illusion of separation. In fact, we are all reflections of one another. When you make choices, you tend to see things as either/or. What if every choice you make is about an experience, a sharing and an exploring? When you choose to see the unity in all things, magic abounds. Love is all around you, Spirit loves you unconditionally and you can give and receive abundant love. Keyword: oneness. 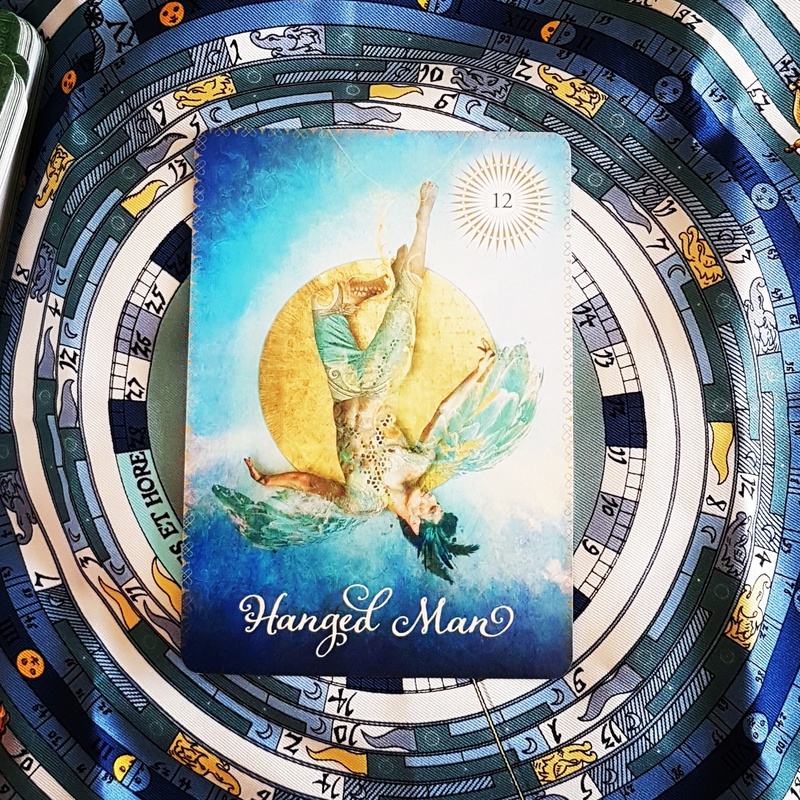 Hanged Man – Sacrifice and surrender are necessary at times like this. Nothing in life is free, nor does everything happen according to your timetable. 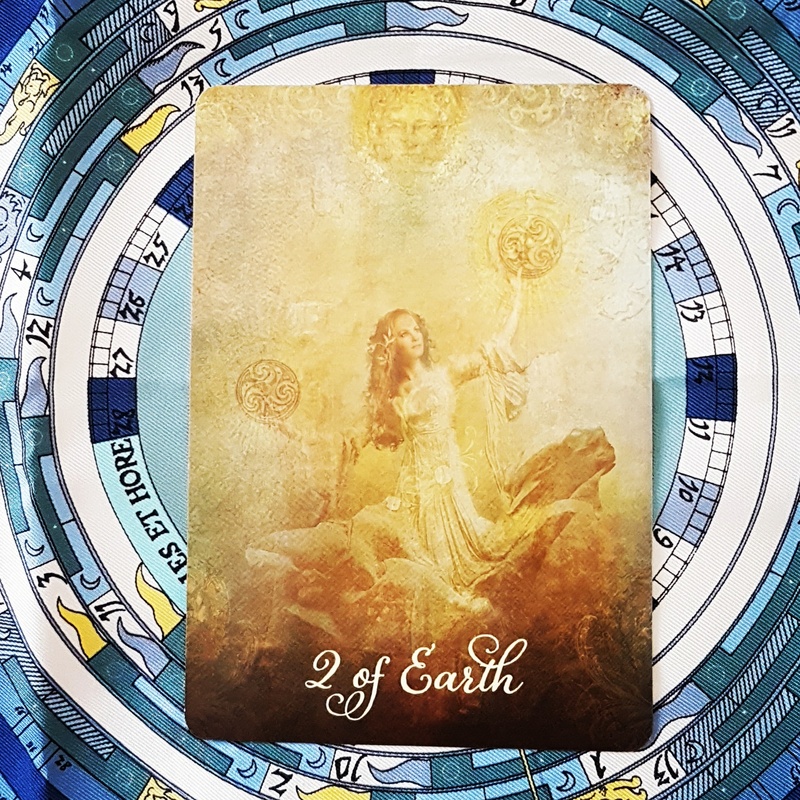 When this card appears, you’re reminded that a delay is in your best interest, that until all elements are in place you’re meant to surrender to the greater will, for the highest good of all. Time for you to let go of your attachment to how you thought things had to be. You are called to surrender and wait to see how things play out. Keyword: surrender.